Popular moped movies to see. Do you like to make mopeds videos on youtube? It’s ideal to make a film of you and your bike and there’s a fantastic array of cheap video-cameras and the quality is often excellent. Today youtube offers anyone with a simple camera the chance to be watched and seen by hundreds in hours of uploading a vid clip - your moped could be famous! 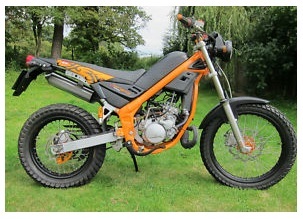 Why have a moped type bike? The Mopeds videos on YouTube show so many different types of bikes that you can't help getting caught up in watching. You could spend an afternoon and watch the classic trail bike mopeds, the stripped down modern moped and the mini moto dirt bike type of moped. It's simply fun to watch them all in action. A moped is old school fun that is tough to beat. Of course the original ones had pedals, that's how you started them, but along the way, the manufacturers dropped the pedals and simply made them bikes under 50cc. Anything bigger is a scooter or motorcycle. However when you look up Mopeds videos on YouTube, you're bound to find a variety, not just mopeds. That's because many people don't really understand that the bike must be under 50 cc. The original moped resembled bikes and many are still built as a bike with a motor. The name came from combining the two words, motor and pedal. When the first part of each of these two words is put together, you have moped. One benefit of the moped is that younger people can ride these bikes. While most areas don't allow them on highways, some do allow them on other types of streets. You have to check your area for the restrictions and laws. While many of the bikes only go between 18 and 47 MPH, you often find riders making their own personal adjustments to go faster. Just like the rules of the road, age for licensing on a moped varies and in some areas even a 14 year old can get a limited license. Their larger counterpart, the scooter, normally requires a regular motorcycle license. 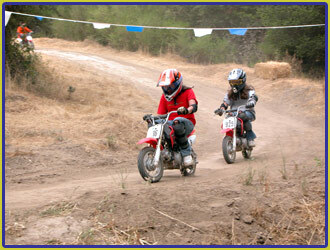 You'll find many leagues formed for racing mopeds. This sport is one of the more popular, particularly amongst the younger riders. There are all skill levels but in most cases, all mopeds race together. 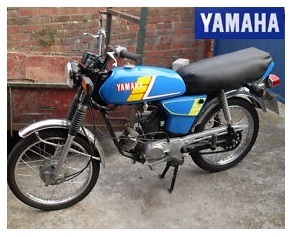 Some moped history and the brands your likely to encounter. Many of the early models, such as the Vespas and the Indian were popular but now only collectors can afford the originals. The Vespa was the moped that transported the soldiers into the fields during WWII. The moped was meant as an alternative means of transportation even after WWII and became more popular even when the economy in Europe became more stable. Some of the early models, including the popular American model, the Allstate moped found in the Sears catalogue, grew in popularity until the 80s when a bad economy drove many of the manufacturers out of business. 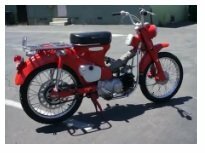 Today you'll see many mopeds videos on YouTube but you won't find too many of the "classic" old time bikes that set the moped rage in motion. 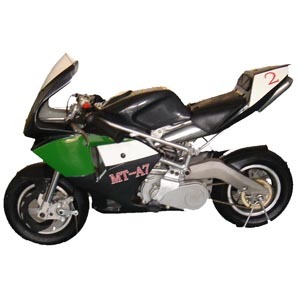 However, you'll see some of the newer makes such as the Aprillia brand. One of the most important names in the world of mopeds is Piaggio. Piaggio has a variety of subsidiaries and makes not only the Aprillia, but also the new version of the Vespa, Gilera, Puch and Derby. You'll also find mopeds videos on YouTube of Honda, Yamaha, Mongoose, Kymco, Suzuki and Genuine Scooter, an American Company. SYM Sanyan, a Taiwanese moped maker also has several moped models known for their fuel efficiency and speed. Regardless of the type of moped you love, you'll find a video on YouTube that will make you love it more. So here below is our small selection of mopeds videos on youtube for you to enjoy. Some cool off-road mopeds and even pocket motorcycles have been known to be used on a dirt bike track layout (or circuit). It’s easy to see why – if a youngster doesn’t have a licence – it’s therefore easier to go off road for an afternoon or three. If you’re going to build your own moped / dirt bike track get good solid information – THEN be sure it’s NOT going to cost you a lot to construct. If it’s beyond your budget, that’s ok – but do look for a good safe place to ride, which isn’t illegal for your moped dirtbike. Legal tracks are more fun honestly.